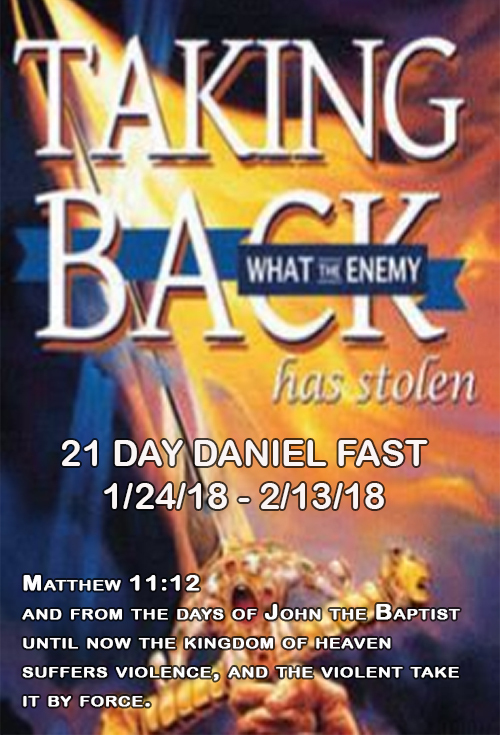 We will be starting our 21 day Daniel Fast on January 24th and ending on February 13th. I am asking leaders to share the attached booklet with their people and partner with me in fasting and prayer. It’s time we took authority over the things God has given us. We are fasting for a closer relationship with Jesus, his will for our lives be revealed, the courage and power to carry out his will. Once we the church get our lives in order the communities we serve will see God’s light and pack out our churches. Download the 21 Day Booklet.